Foxtel today revealed the world premiere airdate for its much anticipated event drama series PICNIC AT HANGING ROCK will be Sunday May 6 at 8.30pm on the showcase channel and available to Foxtel customers On Demand. PICNIC AT HANGING ROCK is a FremantleMedia Australia production made with key production investment from Screen Australia. The series was shot in Victoria, Australia with the significant assistance of the Victorian Government through Film Victoria and has already garnered global attention with – Amazon Prime Video in the US, BBC for the UK, Canal+ in France and SKY New Zealand’s premium entertainment channel SoHo, all set to premiere this year. The international spotlight will continue to focus on PICNIC AT HANGING ROCK when it opens the prestigious ‘Berlinale Series’ of the Berlin International Film Festival next week featuring alongside six other dramas selected from around the world. Brian Walsh, Foxtel's Executive Director of Television said “The fascination with PICNIC AT HANGING ROCK continues to captivate people around the world and we are delighted to bring the world premiere of this iconic Australian story to Foxtel subscribers. It is a watershed moment for the talented creatives involved and testament to Foxtel’s unwavering commitment to Australian storytelling. "The reaction we have received from broadcasters and video platforms in many countries is an enormous boost of confidence for our local industry and paves the way for the Australian film and television community to take its skills and expertise to audiences around the globe,” he said. The six-part series, a re-imagining Joan Lindsay’s iconic novel, stars acclaimed British actress Natalie Dormer along with Australian rising stars including Lily Sullivan, Samara Weaving, Madeleine Madden and Ruby Rees, whose debut screen performances will be seen by audiences throughout the world. 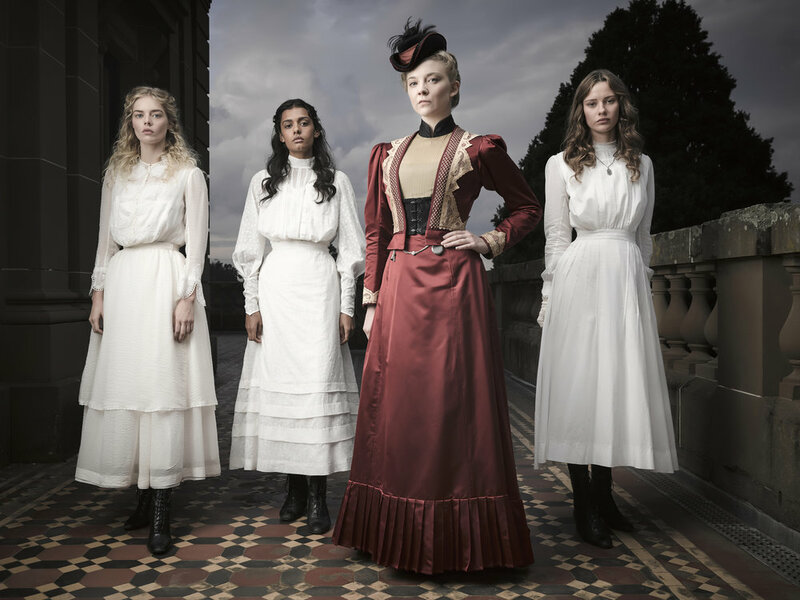 PICNIC AT HANGING ROCK is a FremantleMedia Australia production for Foxtel. Executive producers are FremantleMedia Australia’s Jo Porter and Anthony Ellis and Foxtel’s Penny Win, script producer and establishing writer is Beatrix Christian, Writer Alice Addison, producer Brett Popplewell, directors are Larysa Kondracki, Michael Rymer and Amanda Brotchie. FremantleMedia International is distributing the series worldwide. PICNIC AT HANGING ROCK - world premiere Sunday 6 May 8.30pm on Foxtel’s showcase channel. Available to subscribers On Demand and streamed on Foxtel Now.